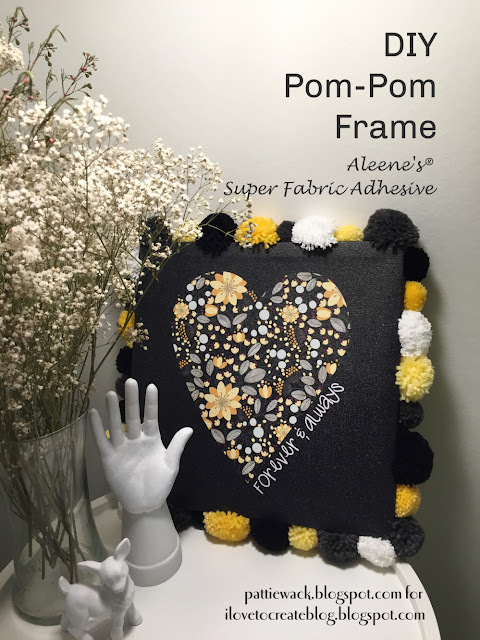 I have just been dying to make a frame with pompoms, and when I saw this adorable canvas quote art in the Michael's store, that was it. I grabbed it up the minute I saw it. Plus, my daughter Tricia always signs her cards with "Forever and Always" so it was the perfect gift for her new home in Iowa. When you make this pompom frame, just know that the Aleene's® Super Fabric Adhesive™ is truly one of my favorite glues, and it has been for a very long time. I always keep it in my designer tote when I go to trade shows, do television spots, and go on photography shoots because it doesn't run, it sets up fast, and it's dependable. 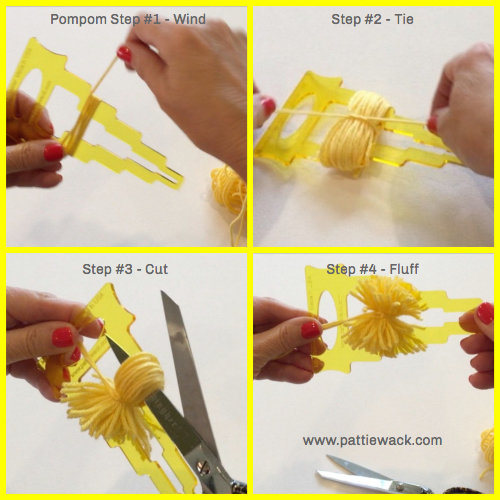 Check out the photos to see how to make the pompoms. 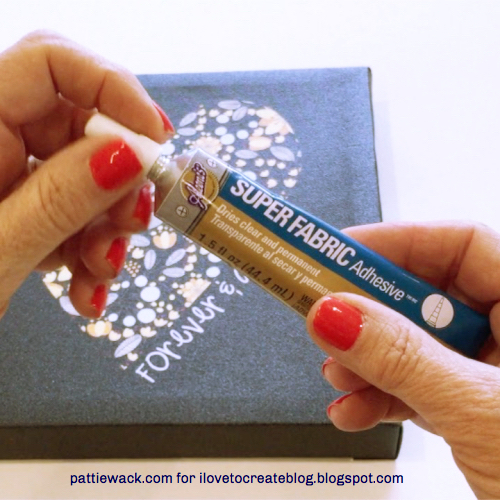 You'll want to make them in all different sizes for that cute lumpy look. All you do is wind, tie, cut, and fluff every little pompom. It's a no-brainer and very meditative. 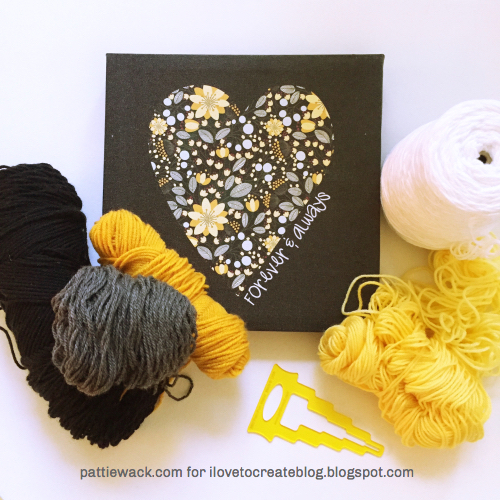 I thought about Tricia and how much I hoped she would like it as I wound pompoms and listened to some Pandora. 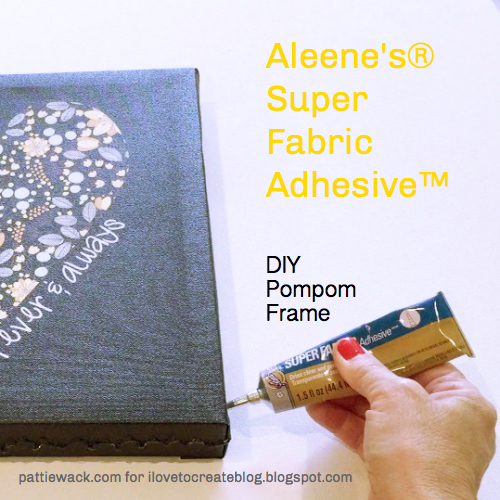 Grab the Aleene's® Super Fabric Adhesive™ and squeeze a generous squiggly line of glue all the way around the frame. I had my pompoms all lined up and ready to go, so all I had to do was press them into the adhesive and hold each one on for a few seconds. Easy-peasy! It was totally dry in about an hour and ready to ship to Iowa to hopefully put a bright spot in my daughter's house and remind her of how much she is loved and missed.